Excuse this awful paper—local style; I am sending you a jade and turquoise necklace, Chinese work, that your Grandmother4 meant for your graduation present. It was a costly one that I sent her only a few months before her stroke. When we went over her little trinkets after her illness, she pointed to this necklace and said quite clearly, "West Virginia". "Now?" she shook her head. "When she graduates?" she nodded eagerly. But I jump about so much that I am afraid it might get lost. There will be some occasions in your junior year when I know Grandmother would wish you to wear it, and I want to send it to you from this dear old home5 that is still so full of her. I start for New York6 tomorrow. P.S. Don't trust Miss Chase8 very far, my dear. She is tricky, and terribly terribly vain. Document is two leaves, handwritten on recto and verso of first leaf and recto only of second leaf. 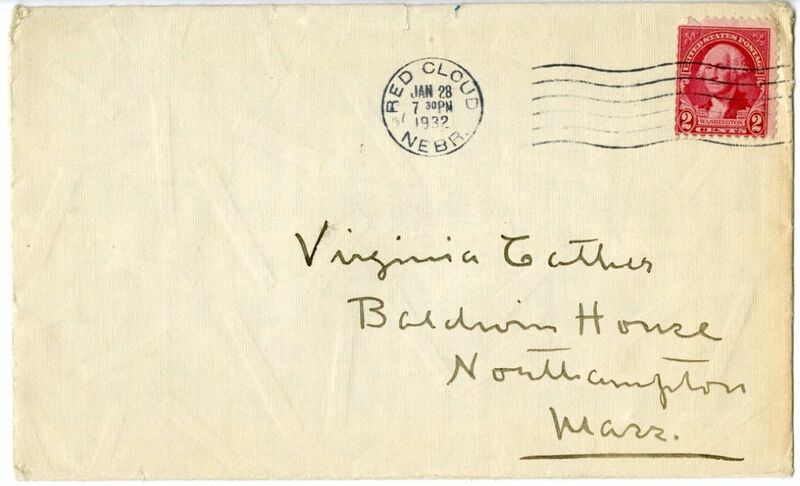 Includes one envelope, handwritten. 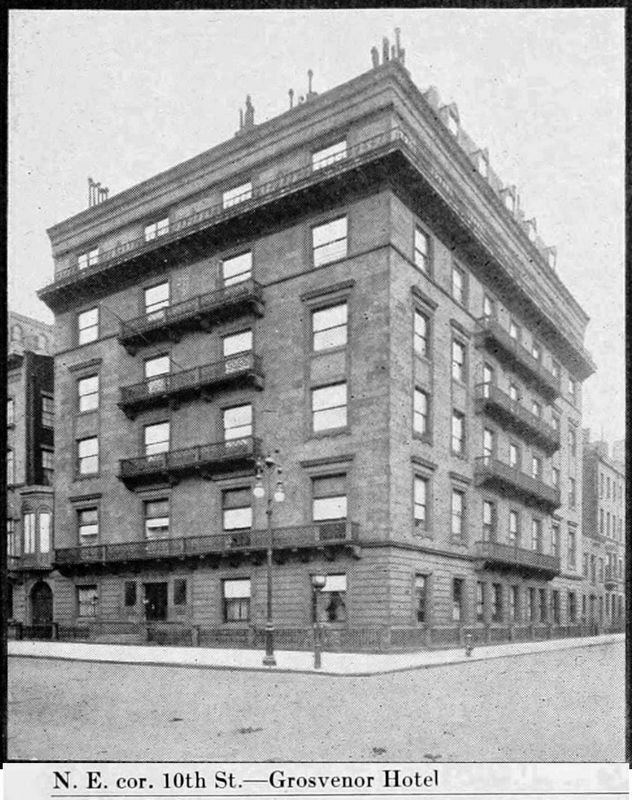 Grosvenor Hotel (New York City): When Cather and Edith Lewis lost their 5 Bank Street apartment in 1927, they moved into the Grosvenor Hotel, where they continued to live until 1932. The hotel was located at 35 Fifth Avenue in the Manhattan borough of New York City. Chase, Mary Ellen (1887-1973). American educator, critic, novelist, and memoirist. Born and raised in Blue Hill, ME, Chase received her B.A. 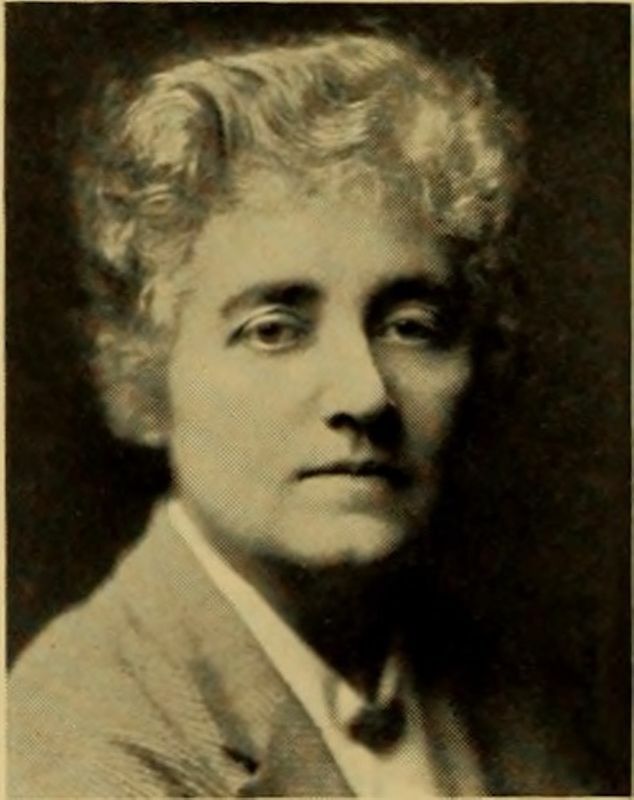 from the University of Maine in 1909 and her M.A. 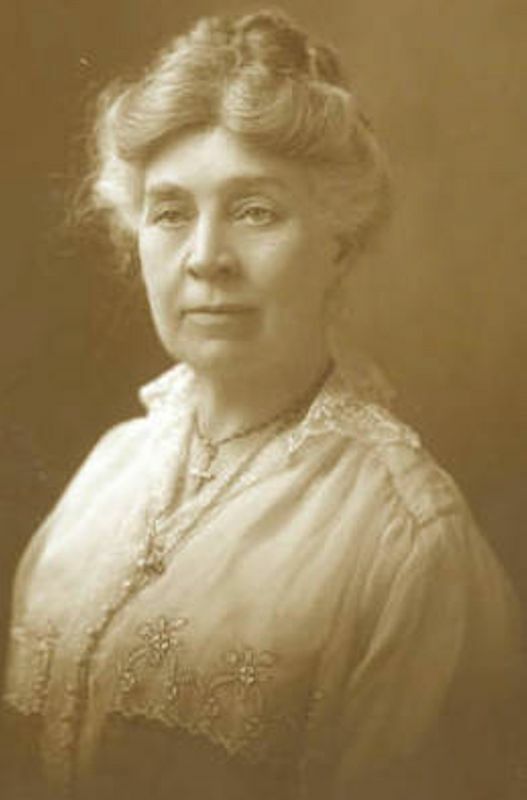 in 1918 and Ph.D. in 1922 from the University of Minnesota. After serving four years as assistant professor of English at Minnesota, she became an associate professor at Smith College. 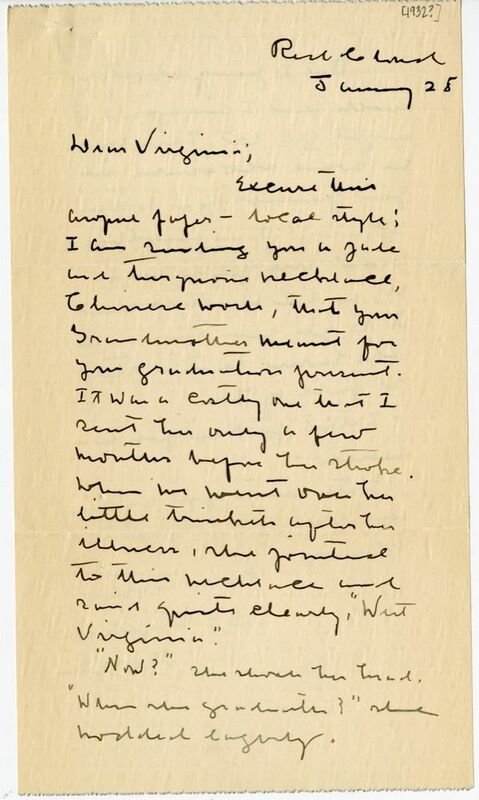 At Chase’s urging, Smith also offered her companion, Margaret Eliot MacGregor, an assistant professorship. 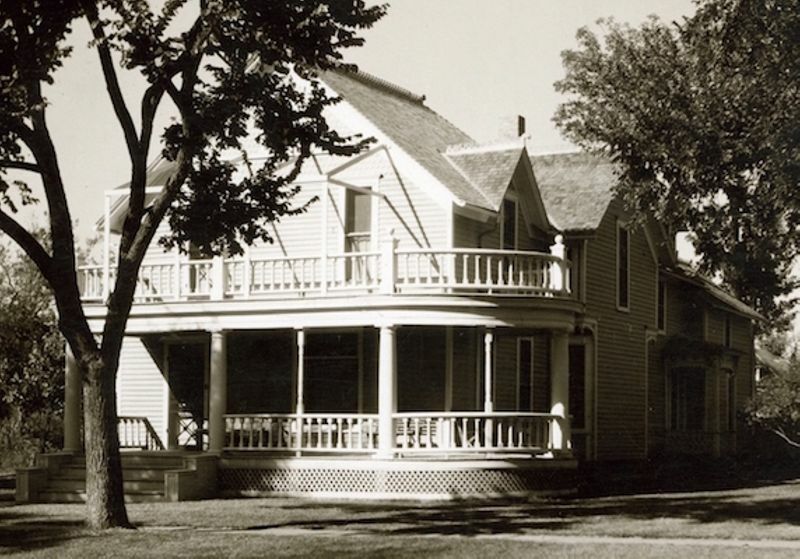 By the time Chase and MacGregor met Cather on Grand Manan Island in 1929, Chase was a well-established novelist of regional fiction set in her native state. 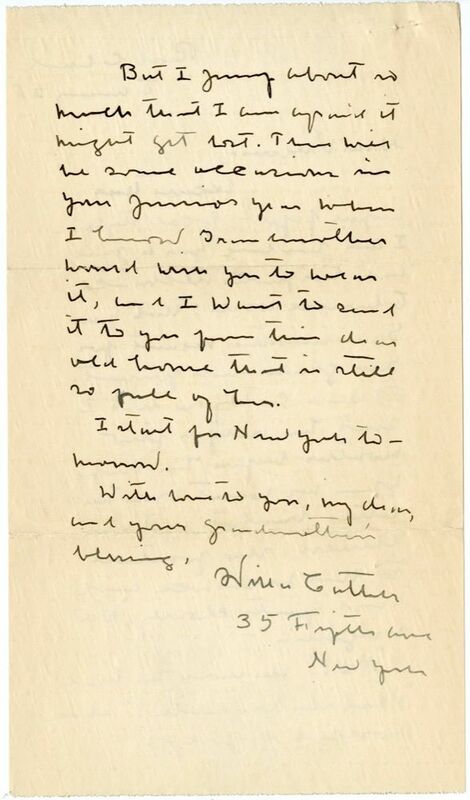 After they met, Chase sent Cather her autobiographical reminiscences The Golden Asse, and Other Essays (1929), but Cather resisted her invitation to speak publicly at Smith. 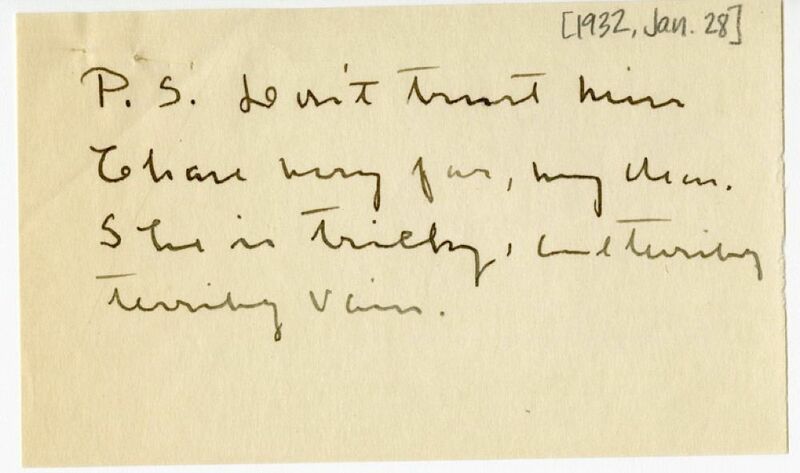 Willa Cather’s niece Virginia Cather came in contact with Chase during her years studying at Smith, but Cather soured on Chase, warning Virginia that Chase was “tricky, and terribly, terribly vain” (#2324). After Macgregor’s early death, Chase shared a home with Smith College classics professor Eleanor Duckett. Although Chase and MacGregor had contemplated building a cottage on Grand Manan, Chase and Duckett built a vacation home at Petit Man Point, ME. Chase retired from Smith in 1955 and died in Northampton, MA.